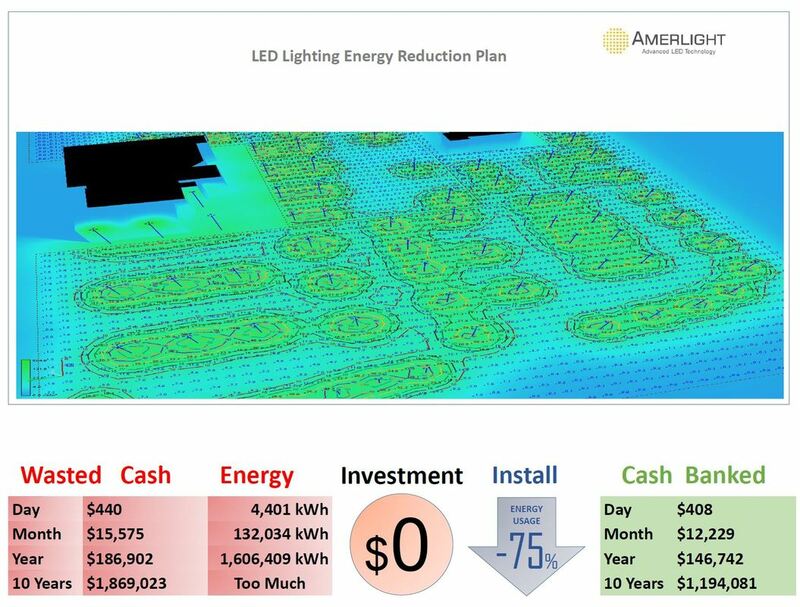 ​greatly improve your lighting and your cash flow. This example is based on a 100 light installation replacing 1000 watt bulb fixtures. There are additional ﬁnancial incentives based on your geographic area. In addition to the Federal Tax Credit, many counties, utilities, states and cities have their own energy savings rebates and credits. 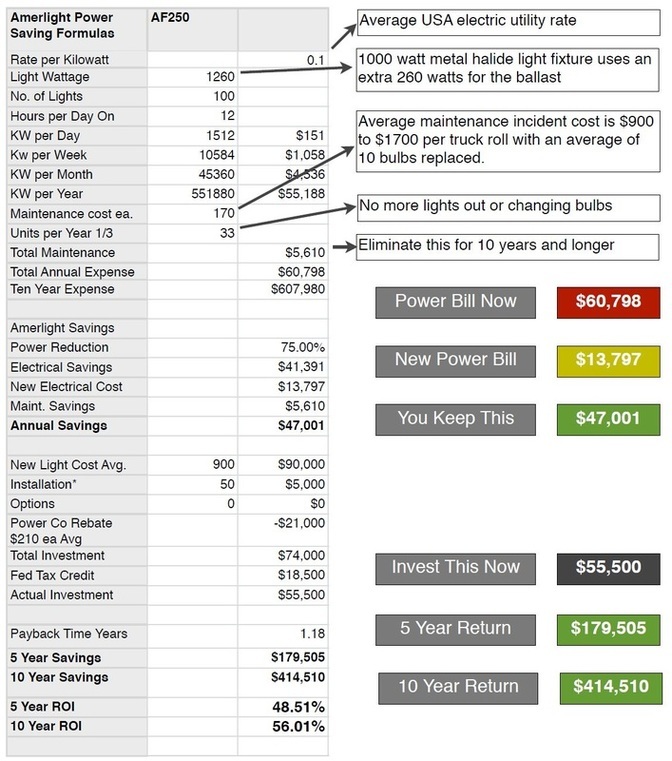 The very next month after you install your new system you will see your lighting bill reduced approximately 75% or more than 85% with wireless control. If you financed your system then you are cash flow positive the first month. If you paid for your new system up front then your dividends start approximately the next year and continue for at least 10 years and beyond for one of the best investment returns of a lifetime.